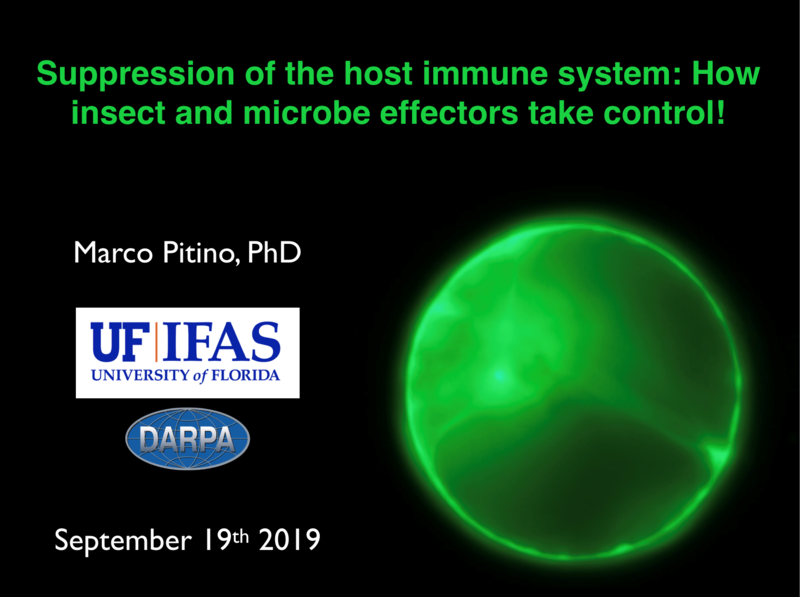 In recent decades, our increased understanding of host-parasite interactions and of pathogenicity mechanisms has resulted in the emergence of the effector biology concept in the scientific community. Microbes, filamentous pathogens and insects deploy an arsenal of effector proteins in unique spatial and temporal patterns to suppress plant immunity or to influence plant physiology (ex. altering host cell structure and function) to benefit the colonization and spread of the parasite. An in-depth investigation into the roles of effectors is key not only to understanding how parasites manipulate host cells, but also to uncovering pathogenicity mechanisms. Ideally, we leverage scientific tools to reveal these offensive molecules from pathogens, and in turn develop novel control methods combating plant diseases. Here examples of effector biology studies in the context of insect- fungal- and bacterial-host interactions are presented to facilitate deeper understanding of these natural encounters, as well as the potentials to benefit agricultural production.